It’s never too early to care for your child’s oral health. That’s why adding a pediatric dentist to the team of health professionals you’ve chosen for your family just makes sense. From teething and brushing concerns to cavity prevention and treatment, a pediatric dentist can help instill healthy habits that will last a lifetime. The American Academy of Pediatric Dentistry recommends that children should have their first dental visit with a pediatric dentist by age one. Children who begin seeing a pediatric dentist as infants and toddlers have a greater chance of preventing cavities and may avoid costly restorative dental procedures. 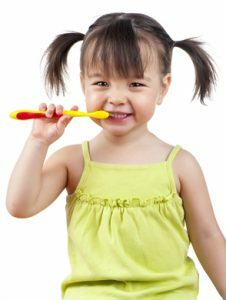 Besides reducing anxiety, starting dental visits early in a child’s life helps establish dental check-ups as part of the routine for healthy kids. NEW PARENTS: If you are a parent of a child age 14 months and younger and are considering our practice for your child’s oral care, call us to request a Complimentary Well Child Dental Visit. If your child is older than 14 months, please contact us at 410-569-6700 (Bel Air) or 410-697-9000 (White Marsh). 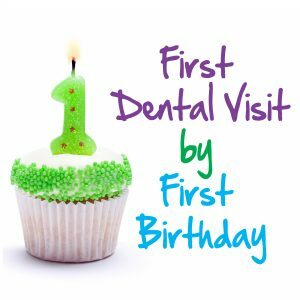 You may also Email Growing Smiles for appointment information for your child’s first visit. Information about brushing and flossing, fluoride, toothpaste, sealants, and nutrition for healthy teeth is found on our FAQs page.